The customer representative, Felix is the Best! Outstanding Worker!! Awesome company , got out problem resolved. Outstanding. Better than our former pest company. Very professional and provide quality service. I am very satisfied with the work that the pest control agent does with keeping those little critters out of the house and the ones outside under control. Felix who comes over when it is time to spay does a very good job of taking care of the surroundings. sincerely, Iris. The tech is always very professional when I have a treatment done, they are on time, does inside an out in a timely manner. The booking process went very well. Service was timely and as described. Very satisfied customer. Home Paramount team showed up on time, kept us informed of progress and worked very hard on a difficult job removing and replacing infested insulation. I have been a Home Paramount customer for the past 2 years. I have nothing but good things to say about the company, their customer service and technicians. I have never had any billing or service issues. Yes, I am quite happy with your services. Your staff's always prompt, professional and ready to return if there's a further problem. Since I have been with your company.....NO ANTS!!! Great service and people...Always on time...THANK!!! Roaches were gone with a month. Great servcie. Home Paramount always does an excellent job. Their technicians are thorough, knowledgeable and polite! The crew that did our attic insulation replacement was knowledgeable, efficient, quick and very personable. Very happy with the work they did. We are also quite happy with our quarterly service personnel. They arrive on time and are quick and efficient in performing the service. The service is fine and on schedule at this point and we are getting results. The keep my home pest free. Always on time, polite and professional. 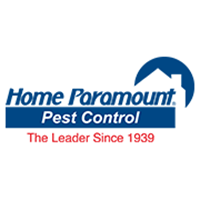 I am extremely happy with the Pest Control Service that I receive from Home Paramount. My pest control technician is very customer friendly. I like that he explains things and checks everything. I have been with Home Paramount for a year now and I have recommended Home Paramount to several people. Your service is fine. Don't ask again. A few bumps getting started but all has been resolved. Technician always on time and friendly. Alzheimer's has been a problem in this house over the last three years. You all have been great dealing with my mother during these times. Mom has had the same people to come each time during her service which helps a lot . As the daughter, I have not had any problems with your company. If I have questions you answer them with no problems. Thanks for help my mother and me. Yes, I am happy with my service. I appreciate the consistency and the customer service. Additionally, with all the rain I have had you all out to remedy the ants and you have done a great job. There was one incident when someone was supposed to come out and they never came. But I was able to reschedule and all is well. The service tech is very courteous and seems to do a great job. Felix is the best! Always on time , courteous and does a good job. All I could hope for! If the target pest problem is not taken care of, they'll make it right! Home Paramount provides excellent service. our regular technician is courteous and thorough. They come when there's a special need. That's all we would want! Thank you for another great service. Great service. Punctual, courteous and thorough. Excellent service by Brent who always does a great job.